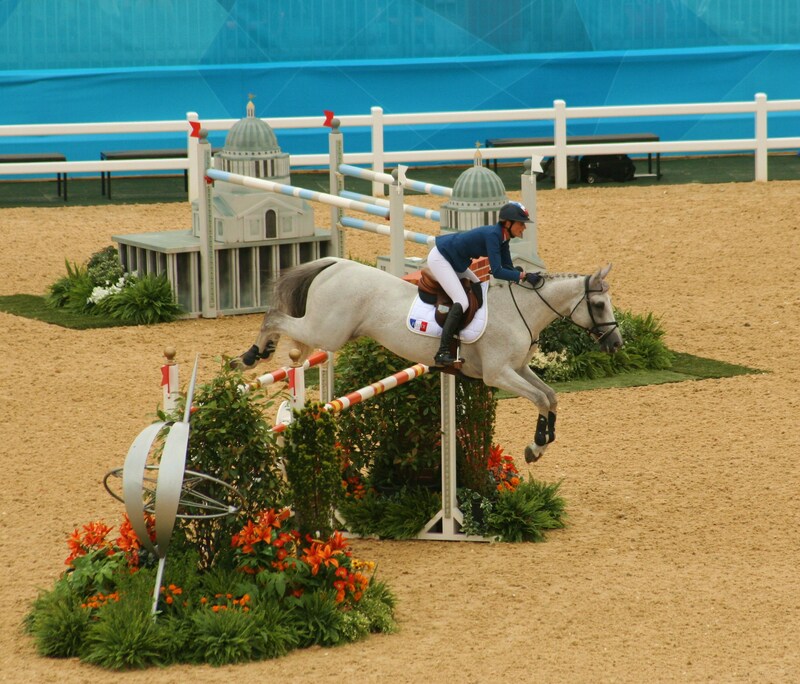 After three and a half hours of watching horses (and riders) jumping over the same fences I needed some excitement. It is tough spending so much time around “horsey” types. They tend think they are better than us footballing types, with their jodphurs on and sitting a glass of champagne, whilst we were tucking into our pork pies and it is not a world I ever want to have to socialise in. 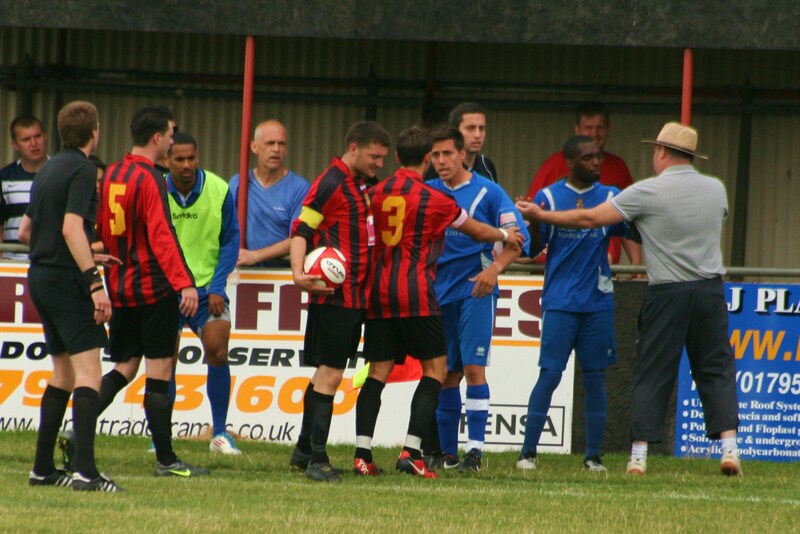 So when our Olympic session ended at 2pm I eyed up a return to normality with a trip to a Non League Pre-Season friendly. 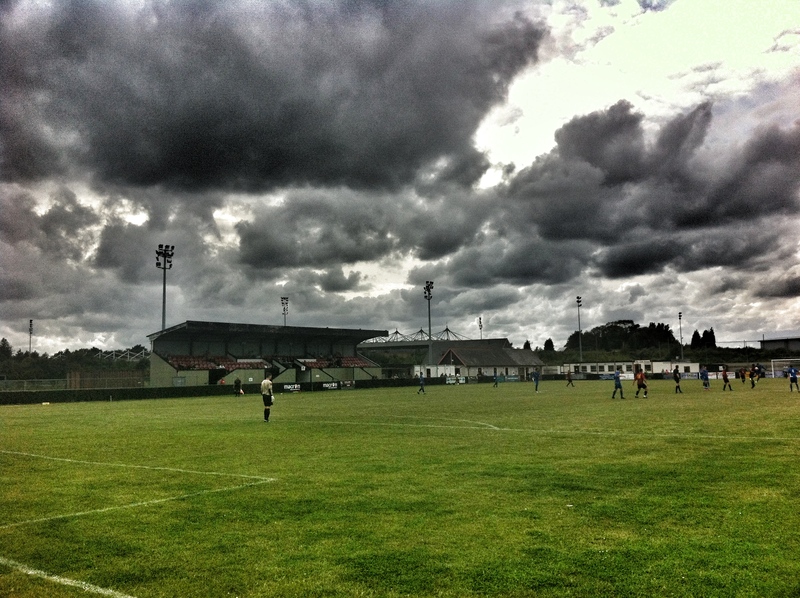 One had my name all over it – a “new” ground for me and also an opportunity to do some Ryman League scouting – Sittingbourne. Just over an hour later I was pulling up outside Bourne Park, part of the Central Park complex in Sittingbourne. Alas, it shares nothing but the name with the famous “lungs” of New York City. Central Park, Sittingbourne is a Greyhound stadium, surrounded by industrial units, where as Central Park, New York is surrounded by world-famous museums. However, as all good Kent Non League aficionados will know, Sittingbourne FC no longer play at the Greyhound Stadium – they play in the idylically named “lower field”. Alas, just like the image of Central Park, “Lower Field” is not some sleepy meadow, surrounded by trees and a babbling brook, rather more Industrial units and a fence that in places is held up with sticky tape. Twenty years ago they were a club with a very bright future. The then-owners had invested heavily into the club and moved to the newly constructed out-of-town Central Park Stadium. They had won promotion to the Southern Premier League and many tipped them to soon replace Maidstone United as Kent’s 2nd team, who were on the verge of disappearing completely due to their financial troubles. In fact, The Stones woes should have been a warning as to what could happen for the Brickies but alas they continued to try to chase an unsustainable dream. And like most pleasant dreams, reality bites hard when you suddenly wake up. When the money ran out in 1998, the players departed and the club were forced to sell Central Park back to the council and become the tenant rather than the owner. They soon passed the stadium onto a Greyhound Racing organiser who couldn’t guarantee the availability for the ground for football so the club moved around the back to the affectionately called “lower field”. Some notable players who have played on the hallowed turf include current New Zealand Olympic Football coach Neil Emblen and our favourite Swedish Import, Kenny Pavey. Fortunately, things today are more stable on the field. The club have been a fixture in the Isthmian League Southern division for some time, although last season they came a bit too close for comfort of relegation back to the Kent Premier League, finishing in 19th spot. This season the club have a first in any level of football I am aware of – Joint Managers, who just happen to be brothers. Jim and Danny Ward joined from fellow Isthmian League Ramsgate. The visitors for one of the final pre-season games of the season were Aveley – a team who know a thing or two about having a ground that is, how should we say, in need of a bit of TLC. The Millers were relegated (actually by Lewes) last season and under the care of stylish Justin Gardner (sporting smart trousers, white shirt, thin tie and Vans) they will hope for a swift return to the Premier League. One thing you cannot fault Sittingbourne for was making this game free admission for all. Unfortunately, the locals seemed to have decided to stay at home on “Super Saturday” rather than support their local side. But world-class athletics taking part in the Greatest Show on Earth wasn’t going to deter me from enjoying my afternoon of the nations favourite game. Sometimes the world “friendly” is used in the loosest sense of the word for these pre-season games. There are numerous stories every season of events “boiling over” on the pitch, which often occur because of too lenient refereeing. 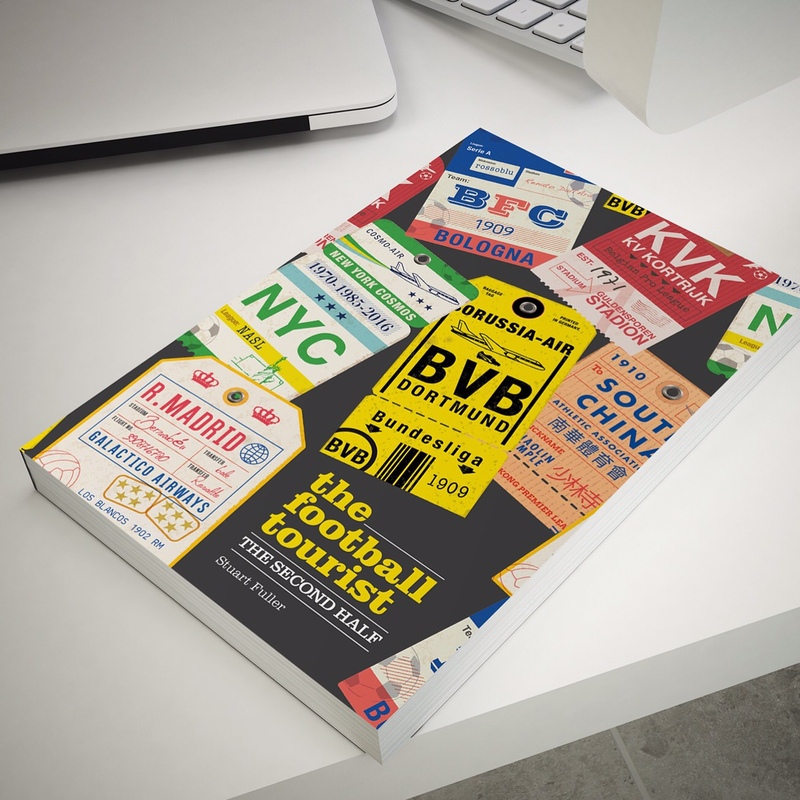 Nobody wants to see cards brandished here, there and everywhere but sometimes referees seem too reluctant to get their book out. 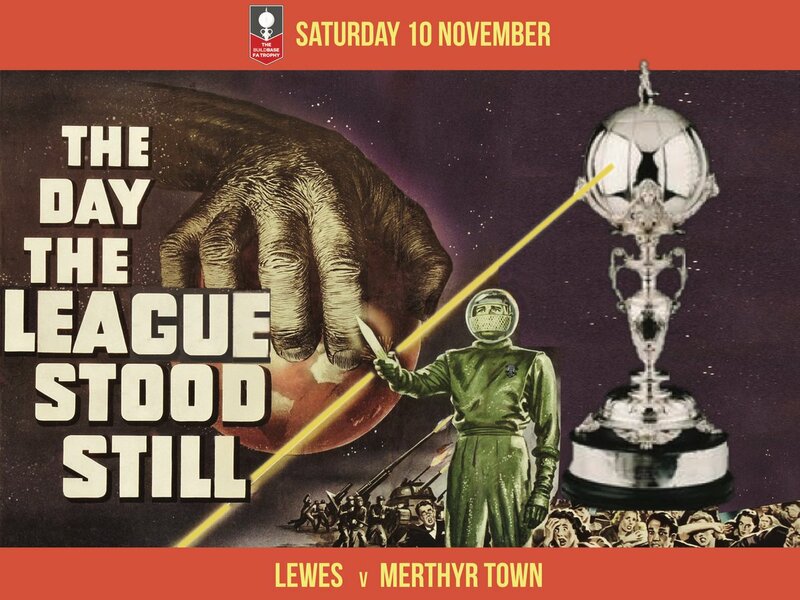 We saw it last night at Lewes v Eastbourne Borough, and the failure to take action by the official today almost led to a game spiralling out of control. However, that underlying “niggle” probably made the difference between this game being interesting to being a run of the mill game and on at least two occasions both benches got involved in incidents that required the referee to get involved. Add in a couple of decent goals, a missed penalty and a very nice pint of Shepherds Neame Smooth Ale and you have an afternoon well spent in the Kent countryside. First off, “hats off” to one of the Ward brothers on the Sittingbourne bench. It takes some bottle to pull off a Panama Hat/three-quarter length shorts look but he went for it. 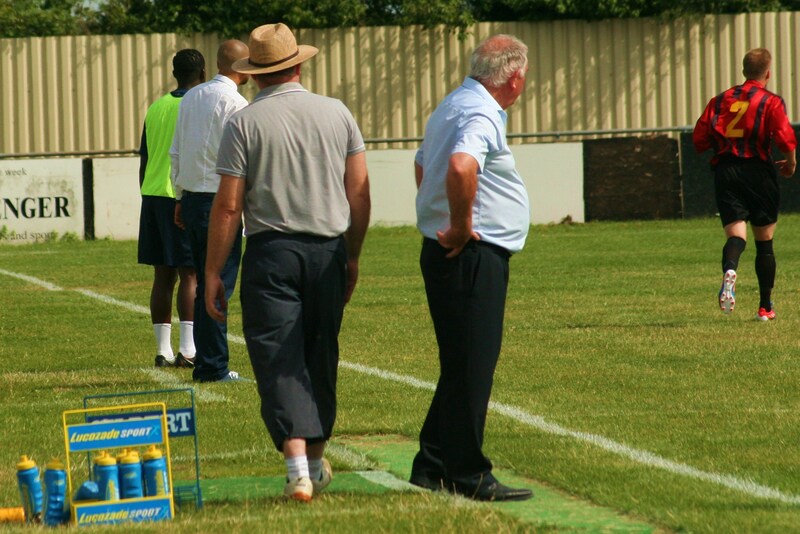 As well as the dapper Aveley manager, the visitors also had a physio who thought it was acceptable to wear hot-pants and tights on the bench. The game hinged on a twenty-minute period stretching across the half time break. There had already been a few meaty challenges flying in, with the Sittingbourne players seeming to be coming off worse. However, the Brickies did take the lead when Joe Nwoko muscled ahead of the Aveley defence after a ball over the top and smashed the ball home. Their lead only lasted a few minutes before Shane Oakley took the ball passed his marker and slotted it home. After the break the heat was turned up a notch by a few rash challenges and incidents that saw both managers wading in, trying to act as peacemakers but inevitably fuelling the flames. The referee should have acted at the first incident and told the benches to make the necessary substitutions but they chose not to. Sittingbourne should have won the game towards the end after Kayemebe saw his spot kicked saved by Aveley’s McCartney and then the keeper followed up and blocked the rebound. So after the elegance of the Greenwich Park Equestrian Arena, a trip to Bourne Park was like visiting a different world. I know which one I prefer, and although I know first hand how difficult it is to maintain a non league ground, Sittingbourne could do with investing some TLC into Bourne Park. This entry was posted in Kenny Pavey, Non league football, Rymans League and tagged Aveley, Bourne Park, Ryman League, Sittingbourne. Bookmark the permalink.